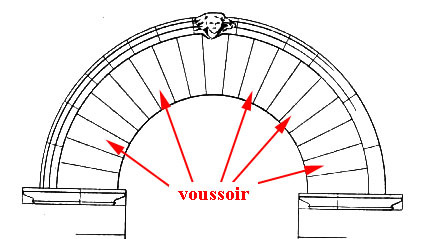 voussoirs: THE MAN WHO BUGGERED UP THE SYDNEY OPERA HOUSE? 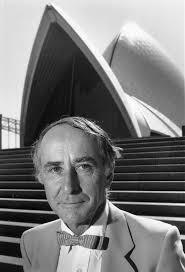 The ABC TV's programme Australian Story presented on 1 February 2016 was on Peter Hall, the architect who took over the completion of the Sydney Opera House after Jørn Utzon left Australia, never to return, after a disagreement with the Works Minister. 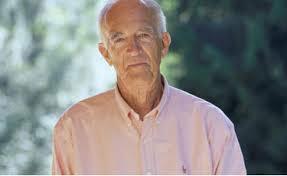 The outspoken Philip Drew was interviewed. 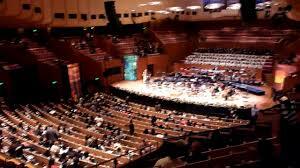 He bluntly, unapologetically, almost rudely, described Peter Hall as "The man who buggered up the opera house." The sad story of Peter Hall is that he died at 64, bankrupt, a destitute and depressed alcoholic. 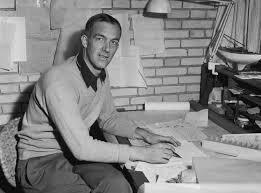 He was mercilessly harassed by the architectural profession that never forgave him for taking on the task of finishing Utzon's project. 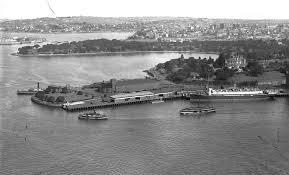 The profession at the time called for Utzon to be returned. 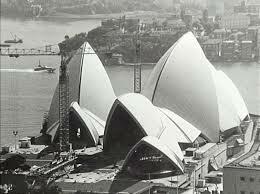 While this ideal, that the architect should be allowed to complete his design, was admirable, Utzon was never going to be allowed to return even if he wanted to. He never did; he never saw his completed building. 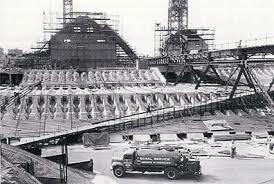 The ABC TV programme bought both sons together, Utzon's and Hall's. Both seemed to share the tortured past of their fathers. They appeared to be reconciled. They said that they now had some answers to questions. The opera house is a stunning building. 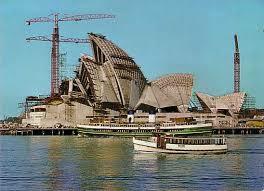 Its story and the demise of Utzon's role is littered with reports of his designs' inadequacies. The hagiography, a word first heard from the lips of Drew many years ago in a talk at the RAIA rooms in Brisbane, appears to have buried, dismissed anything questionable about the efforts of this Danish genius. What is the true story? 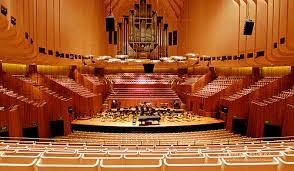 The programme presented an old interview with Peter Hall saying that Utzon's seating layout was 'illegal' and would never have been approved. Even this, if true, is superseded by the preferred opinions that want to know and believe otherwise. The Unseen Utzon exhibition in 1994 that displayed Utzon's plans for the opera house interiors, apparently tried to show that Utzon had a design resolved for everything. 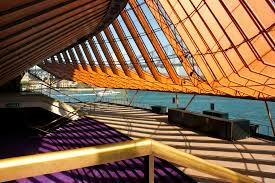 The exhibition aimed to show what the interiors would have been like if Utzon had completed his work. 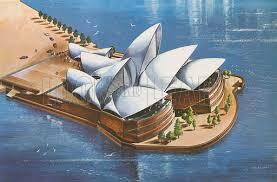 Ken Woolley apparently noted that not one of the Utzon drawings was anything like a working drawing. The stories say that this was the problem. It is all a vague mess. As one gets close to what one group says is fact, the other 'proves' otherwise. What does one believe? Whose side does one take? Does one have to take sides? 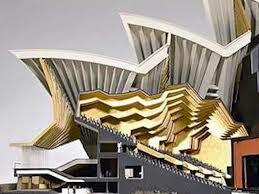 The profession needs to answer the question: what was to happen to the opera house after Utzon left it? Were the engineers to complete it? Was it to be left as a monument to whatever side one took? 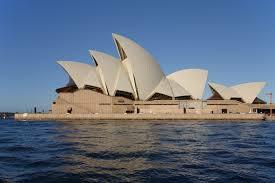 Surely it can be argued that the current success of the opera house is that it was completed. 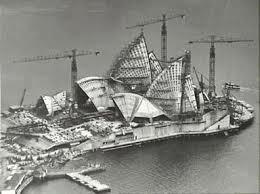 It was obviously never going to be an 'Utzon' design as it was completed by Peter Hall, who claimed to be sensitive to Utzon's work. Maybe he has been? 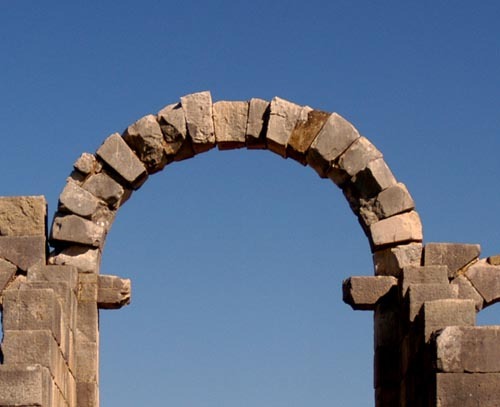 Has anyone looked closely with an open mind - a mind not perverted by preferred possibilities that were never going to be, and the eternal disappointment that this has brought? If not Peter Hall, then who? It is all a very vexed situation. 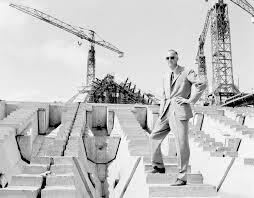 Looking back it is sad that Utzon could never complete his work; but why can the profession not accept that Peter Hall did a fine job in getting the project operational? The profession is a bitchy, indulgent group. Every architect seems to have the belief that s/he can do a better job than the other, and is critical of the efforts of others. Everyone might do it differently, but why argue about better? 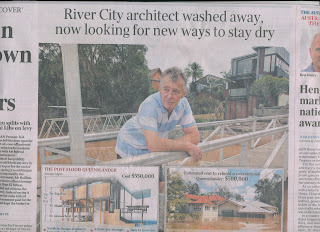 I have had projects demolished and butchered by other architects, viz. Cox Rayner Architects, who have refused to talk to me about their ambitions. They have merely done what they think is better/best without any consultation. So much for moral rights and ordinary manners! 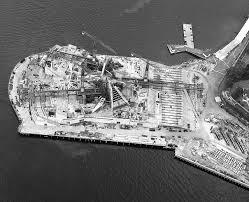 It seems that we should be celebrating Peter Hall's work instead of cringing still at the missing Utzon and dreaming of what might have been. Who really knows what might have been? Visions and 'maybe' possibilities all tend to be optimistic, especially once it has been decided that they would have been better than anything we now have. We even get excited about Utzon's sons's involvement, preferring his genes to others, without worrying about skills and experience, such is the yearning for things Utzon. Surely this is not the 'foreigner' cringe, that sees anyone from abroad, especially with an accent, as always being better than us Aussies? And when others, e.g. 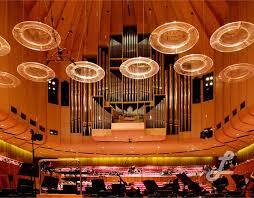 Richard Johnson, get involved in the opera house renovation, they travel to sit at the feet of the master, taking in every move and sound, to be spoken about when back home as the gestures and words of a God. This eulogization only continues to isolate Peter Hall's best efforts. 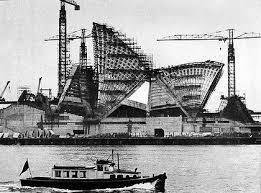 The Utzon dream, that some see as a strange nightmare, still lingers in the profession that has no answer to how the opera house might have been completed apart from an Utzon return; hence the rising of the son. 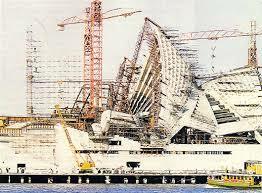 Did Utzon want to return? He could have, at any time. 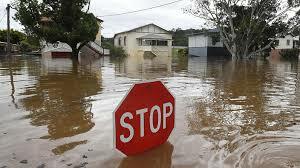 He owned property in Sydney for years. Is there a problem here with genius architects not being willing to change any of their inspiration in spite of everything? Maybe the architect is at fault here? There are many clients who have sacked architects who have strayed off into a world of their own narrow vision full of 'inspired' concepts that blow away functions and budgets without a care in the world apart from 'their' work! - their reputation; their brilliance! - what 'I' want. The full story needs to be revealed. 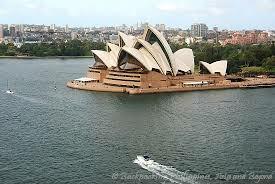 Why could Utzon not return? Was everyone else around him wrong? Gosh, once one starts seeing the world in this way, then there is likely to be a problem. The profession needs to sort itself out. Does it want to maintain its genius base, the 'Utzon mode' if you like, or is it prepared to grapple with the real issues of life and the demands of clients? It currently acts as though the two can never meet. The quote of old on how architects need to act responsibly should be remembered and perhaps enacted: see ON RESPONSIBILITY below. Someone has to take responsibility. 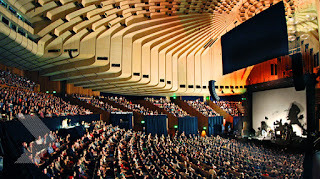 The opera house is truly one of the wonders of the world, a 'treasure' as Dan Cruickshank has classified it (Around the World in 80 Treasures); but he specifically identified only the exterior. Where does he draw the line? 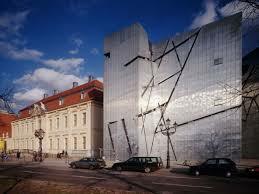 Can a building be bifurcated in this way, separated from its performance as a public performance space? This seems to highlight the form/function divide that has engulfed our world today, where only social media fuzz is significant: how 'I' appear as important ME in MY world: LOOK AT ME! 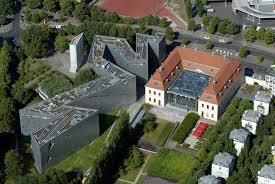 There was a debate about the Berlin Jewish Museum by Libeskind. It was said that the building should be left empty as a stark monument to those killed, that it would hold more potent power and meaning than any contrived exhibition. 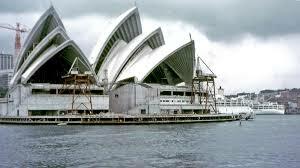 This has turned out to be true; but the opera house was a shell when Utzon left. The same argument to leave it just as it was, was not available. This structure was never a monument to the dead or the past; it was a space for the living to celebrate the present, now. Peter Hall allowed this to happen, in spite of our architectural profession and its own selfish ambitions that seek only to promote ARCHITECTURE as the work of the ARCHITECT AS GENIUS. 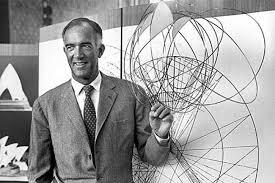 We need to get our feet back onto the ground of the everyday, for now everyone considers themselves a singular, unique genius just like Utzon, fit for the adulation of everyone, and demanding it too. Coomaraswamy writes of the artists of old, telling how personality had nothing to do with quality. The name of the artist was irrelevant, a distraction; only the work was important. Has the profession forgotten that the cathedrals were built over hundreds of years with the involvement of many masons? 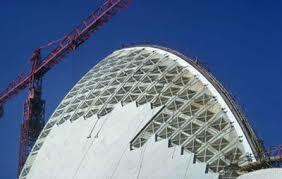 Even Gaudi expected his cathedral in Barcelona to be completed by other architects, as is being done now. 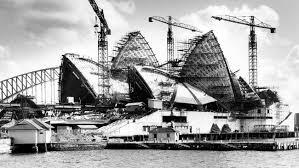 One has to wonder about the profession's demands that genius had to be maintained for the Sydney Opera House, and only 'the genius,' Mr. Utzon. Time needs to modify this perception and recognise the efforts of others beyond the crude idea that they 'buggered things up.' 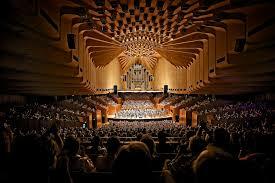 One could say, without any cynicism, that they made the opera house the successful place that it is today. What else was expected? The impossible? Did the profession really want just empty shells? Let the young artist treasure up in his mind the advice of the father of architects, namely, that he prefer a little with a good name to abundance attended with infamy. That he be docile and not intent on gain; that he wait until he be sought for, and not by intrigue attempt to grasp everything; that he be extremely careful as to the expense of his works, and keep in remembrance the Ephesian law by which, when an architect received the charge of a public building, he was obliged to deliver an estimate of the expense, and to assign over his goods to the magistrates until the work should be completed. If the expense agreed with the estimate he was rewarded with high and distinguished honours. If it did not exceed more than a fourth part, the excess was added to the estimate, and supplied by the public, but if more than a fourth part was expended, his goods were most justly seized to make up the sum.